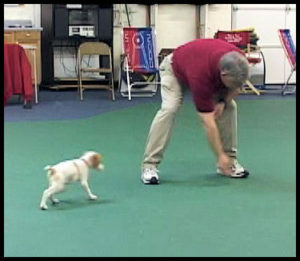 Prey drive is an inherent drive that we can use to our advantage while training concepts and techniques for Rally, Obedience Agility, Nosework, everyday life skills, etc. Prey drive makes it possible for us to engage our dogs in play and chase games. Using such games during training helps to motivate and reward our dogs. This drive can be used to generate intense focus, quick reactions, and swift movement from our dogs. 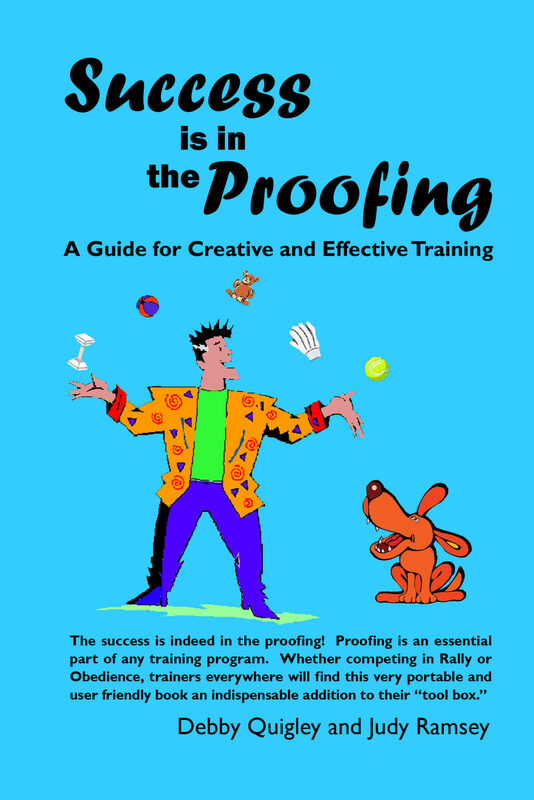 The “cookie toss” game is a great foundation and tool to teach any age dog, from puppies to older dogs. This game will teach your dog to run out quickly, grab something, and run back to you in a fast energized manner. The “cookie toss” game blends into many skills that you can teach your dog as your dog moves forward with training and showing in any venue! Please teach the JUMP TO HAND game to your dog before proceeding with this class. Before taking this class, please go to the WHAT YOU NEED page to review equipment and usage agreement. The opportunity to get feedback from ME!